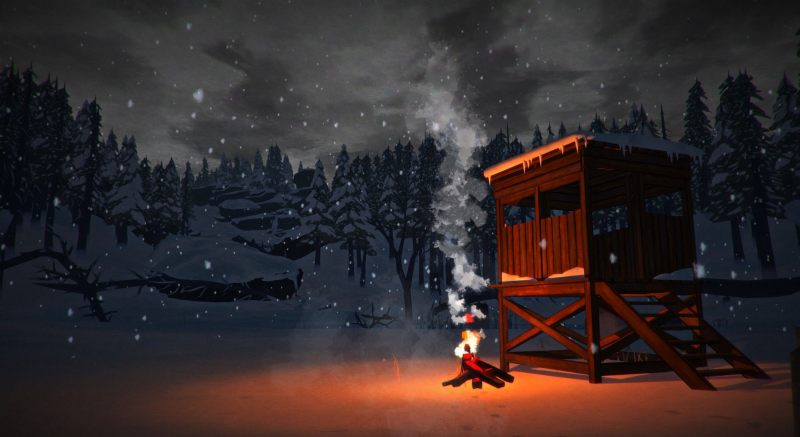 The Long Dark is a fantastic game. There’s something so Canadian about ending up nearly dying in a cold, unforgiving forest. And like surviving in the wilderness, prolonged existence promotes ennui, making the player long for something that’s not simply hiding in a Quonset hut from wolves. There’s a sandbox version of the game, and one with a strong storyline. However, for the sandbox game, I would have loved it if there was an opportunity to get to a part of the island where you could find a boat and depart. Just to have that option there. Just to have something to strive for that wasn’t merely surviving. Hinterland has crafted a wholistic experience without leading the player through their world with a guide rope. Even though death is an inevitability in The Long Dark, players know at the end of each run they could have done better. The player could have kept an extra can of soup or paid more attention to that watch tower so they wouldn’t have gotten lost. Each run imparts something new to the player and is persistently laying new challenges ahead. Survived three days? Great. Now survive four.